We are in the final weeks of getting our local plan SAMDev in place. I am unhappy with proposed changes to wording that, in my view, will encourage development outside settlement boundaries and invite developers to submit greenfield developments. As I type this, a planning inspector is busy scrutinising comments on the final modifications to the local plan for Shropshire known as SAMDev. Her decision on the final wording of this long and tedious document will be vital to the future of this county. If she accepts the final wording proposed by Shropshire Council, it will be much more difficult to defend green fields from development and prevent housing being built beyond settlement limits. I’d like to tell you that watching a planning public inquiry is fascinating – but my nose would grow out of control. So why did I spend half of last Thursday observing a planning inquiry? I needed to do so because they were discussing SAMDev, the county’s blueprint for housing and employment sites. 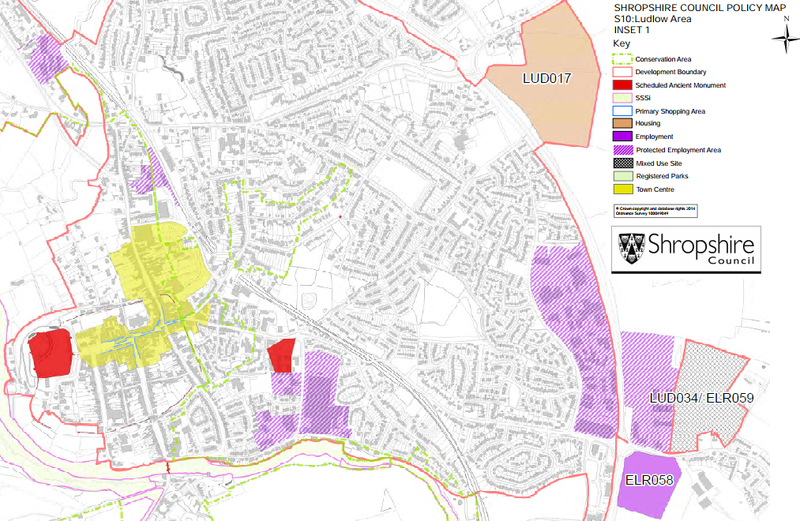 And specifically the inquiry was discussing development in Ludlow and Ludford (see what the SAMDev plans say about Ludlow). Ludlow has a quota of 875 new homes built under Shropshire Council’s blueprint for housing across the county, SAMDev. Now, property specialist Berrys is claiming the numbers here and elsewhere in Shropshire are only a minimum.